September of 2012 found me working part-time, primarily without a car, and aimlessly searching for some unknown outcome. At times I felt like I was drowning in my marriage and at other moments I was blissfully enjoying my new surroundings. I read with an urgency and made friends with my library card when I struggled to find genuine connections with other individuals. By all accounts, it wasn’t a terribly happy time of life and yet… I don’t look back on it with sadness or remorse. It was a time of growth and perhaps a necessary passage to get to where I am now. Like a teething child who is miserable while his teeth breach the gums, but will take his teeth for granted later in life. Sometimes pain and discomfort and struggles give way to greater endings. During that season of my life there was a thrift store about a mile from my home – I could walk there – of which I was a frequent wanderer. There were also signs of a fair trade coffee shop that, sadly, had taken its leave before my arrival. I have only ever purchased one thing from this thrift store despite my many visits, but I just enjoyed looking. Seeing. Exploring. And maybe, in retrospect, it was an escape. You see, this thrift store isn’t really thrifty, it’s more artsy. 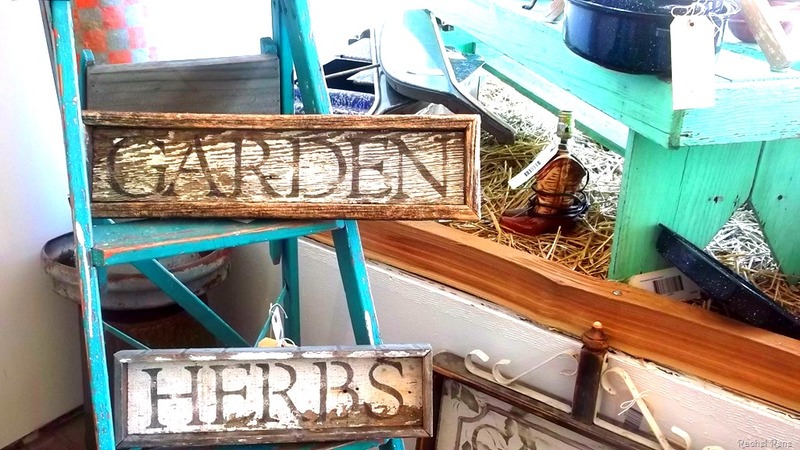 They sell a lot of up-cycled pieces. So they intend to have items that please the eye and inspire the mind. They do not simply sell second-hand items and that is what I loved about them. They took items that were old and worn and turned them into something worth seeing again. They brought back the beauty lost in a broken table or a dented hubcap or a broken canoe. Where the world saw destruction and waste, they saw a new creation, a piece of art, a new beginning and it’s because of their vision that when I walked into that thrift store, I saw beauty too. I saw innovation and revitalization and a renewal. And, in turn, it renewed me. I was reminded with each newly upholstered chair and each broken record player converted into a side table that there was never going to be a time in my life when God couldn’t work with what I gave him. A truly great chef can make a meal out of anything and a truly great artist can see beauty in the simplest object. And a true visionary, like my God, can literally make something out of nothing. So, inspired by a thrift store, I threw myself into my faith head first. I spent more time in prayer than ever before. I was diligent with my prayer journal and was fervently seeking the Word. And life got better. Not instantly. Not overnight. It took time. It took patience. It took devotion. It took change – a change in me. 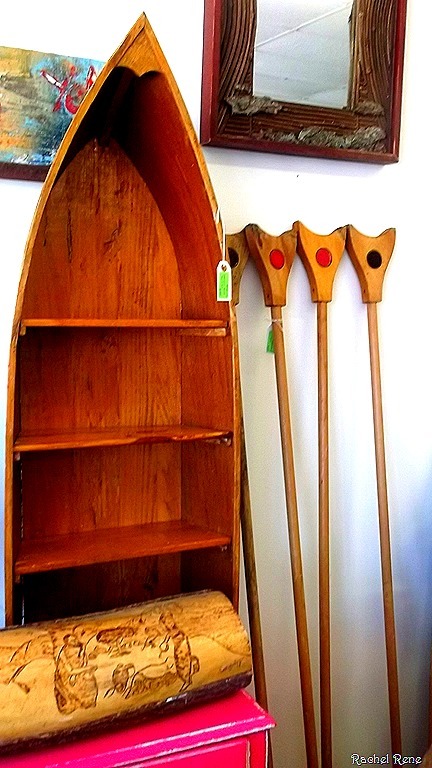 The up-cycle artist needed to make a change to the broken canoe to bring out its beauty and likewise my creator needed to make a change in me. Months later I wrote a post on this very blog absolutely gushing about the degree to which I loved my life. And it hasn’t been the last of its kind. And once I started truly loving my life and feeling joyful from the inside out, life started loving me back. Relationships manifested. Finances improved. Resolutions stuck. And love became this flowing current going and coming in all directions. I still seek him daily for he is my renewal. Because just as the silver needs polished to keep its shine, I too need to be washed to keep my luster. A lot of the groups are defined by something more than just a common interest, but a common personal characteristic such as sexual orientation or skin color. Living in a city that is almost 50/50 black and white I see a lot of Meet-up Groups pop up that are for, well, basically black people only. Obviously they can’t specifically state that if you’re white you can’t join, but you can name your groups Ebony Ladies Reading, Mocha Sista Retreats, or Young Adults of Color. All real groups in my area. I feel that I must now immediately make a disclaimer that states, I do not discriminate against any group of people. If I discriminate against a person, it’s based on that individual and I don’t care who they want in their bed, what color they are, what god they worship, or who they voted into presidency. Case in point, I have had gay friends since I was a babe (though admittedly not quite as aware way back when), am married to a black man, just made a friend who best describes her religious beliefs as Buddhist, and have a very good friend of nearly twenty years who could not be any further from me on the political spectrum. Now, I feel I can move on without receiving vibes of hate from anyone reading this. There are times that this abundance of race-based groups is frustrating for me. I don’t begrudge them their right to want a common bond of race with a group of people. I just don’t get it. Do they really have that much more in common because they’re all a common race? And in those moments when I look up (and it happens fairly often) and somewhere in the back of my mind realize I’m the only person of my race in a gathering of people, should I then feel ostracized somehow? Like they all have a secret that I can’t be a part of strictly because I was born pearly white and they are other more similar, though still varying, complexions? 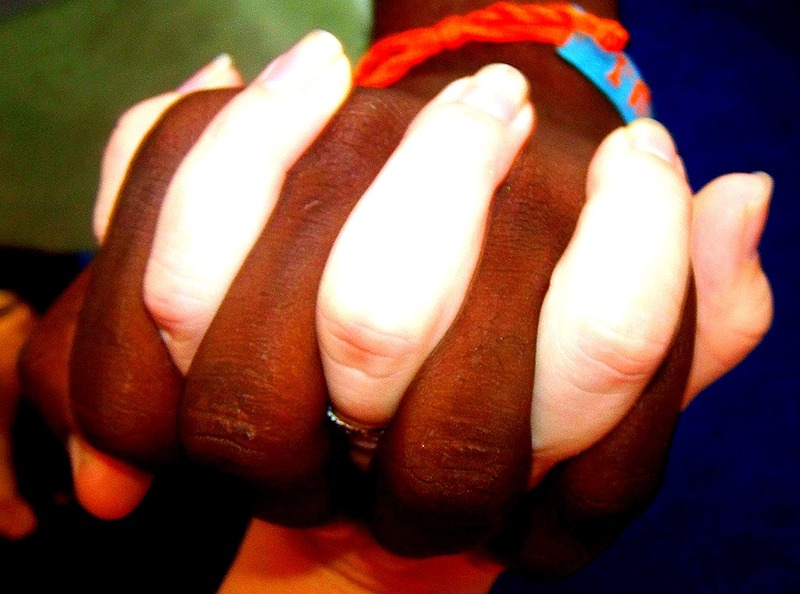 I had dinner with a girlfriend recently who is Ethiopian American and we discussed the issue of race. She shared with me that in Africa it’s still very common for women to use creams or chemicals to bleach or whiten their skin (a la Michael Jackson). Even in the States there is racism present within certain races – a mentality of the lighter the better. While in the white world, people are risking skin cancer daily trying to become darker. And what I am forced to acknowledge is that most people do prefer their own race and it’s not because they’re racist or discriminatory. It’s because they’re human. Because in the United States of America we’re still living with a post-slavery mentality. Where certain races live in certain neighborhoods. A country where many churches could be defined as black or white. Where in the same breath the government is trying to tell us we’re all equal and pushing programs to try to erase the past. Make people forget. The Civil War ended almost 150 years ago. Dr. Martin Luther King, Jr died almost 50 years ago. And the races and cultures in this country are not a melting pot – they’re more like a lunchable. Some day I will probably have children. And I am praying, even before their conception, that the world they face will be in color. All colors. That they will see how beautifully the colors can be when they are blended in harmony. That they will treat every person with the respect they deserve as an individual and that the people they face will treat them with the same respect. That they will come into the world where rather than so strongly celebrating the traits that divide us, we might learn to celebrate the oneness of mankind. I have been loving it for a while now. I may be the happiest I have ever been. Not to say that I haven’t had other points in my life where I was loving living, I have. There were times in both high school and college when I wanted to find a way to capsulate moments and re-live them again and again. And I have had amazing times in my travels. I spent a fairly blissful month in Ecuador and Italy holds some extremely happy moment s in my life. My entire life I have felt restless. As a pre-teen I remember waiting for life to start. And then in high school I couldn’t wait to move away and go to college. I studied abroad at nineteen and caught the travel bug. I was not content to be in America unless I was planning my escape abroad. Then I fell in love and spent a year waiting for Immigration Services to let us be together and almost another year waiting for life to lead us somewhere. The true difference between now and the twenty-six years leading up to this time is I finally feel like I can start living in real life. I don’t have to be somewhere else to live. I can live in my own language, in my own country. High School and college are amazing, but they are also temporary no matter how you slice it. Eventually they’re going to end. And I recommend travel to every soul alive, but at the end of the trip, most people head home. I don’t live anywhere exotic. Up until a few weeks ago I was barely employed. But I have been so content and satisfied. And in a way I’ve never experienced before. This happiness isn’t something I want to bottle or freeze. I’m not stressing over whether my life will change and that will upset the delicate balance. I love my life for all of its possibilities to change and evolve and grow. I love that every day can bring something new to create a slightly altered me. And I pray those alterations are for the better. I love that I know things are going to change and are changing every single day and that thought doesn’t alarm or frighten me. It makes me smile. Brings me joy. In summation, I think this picture says it best. The kind of happiness I feel doesn’t happen by yourself. You can’t will it into being. You can pray it into being though. And speak it into being. I am blessed. With a warm place to sleep. Food on my table. Love in my heart that I can give and receive. I can shout and jump and sing and be silly. I can do the crazy legs dance. I can cry tears of joy. I am incredibly blessed. And I just wanted to share it with you. 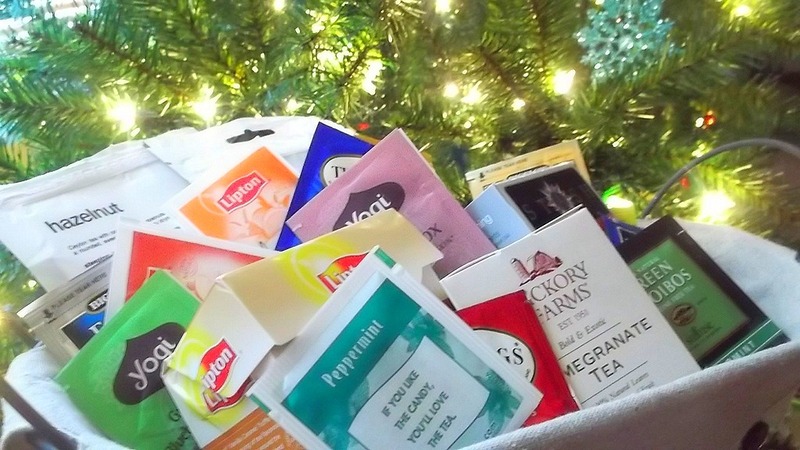 My Christmas Tea Advent is officially finished. The trouble was me wandering around tea sections of stores trying to find teas that I thought I might like. As it is I have a number of herbal teas and I’m not terribly assured that they are going to be quite my cup of tea, if you will. I was introduced to The Tea Mix which is basically a site where you can mix and match different types of teas and only order a packet. I was more than impressed with this concept, but I was less than impressed with their $15 minimum purchase. They also didn’t have the Christmas Stash teas that I really wanted for my Advent Celebration. Nonetheless, it may be a consideration for the future. Our Christmas tree is up and I am ready for the next month. It’s going to be gloriously Christmas-filled. I’ve had this angle all along to do only DIY Christmas gifts. I have, unfortunately (or perhaps fortunately), remembered something: I am not crafty. I want to be. Oh, I so desperately want to be crafty. But I’m just not. I’ve not been blessed with this gift. I will do some DIY gifts that I already have the supplies for and I’m pretty sure I can’t muck up, but for the rest on my list I’ll just be setting myself a low price point and shopping around. Oh, the joys of living in a place where shopping around is a most viable option. Hey Jude, Who Are You? 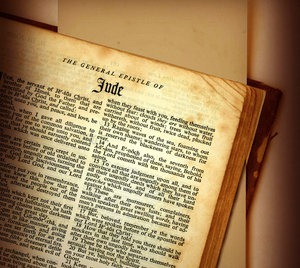 What do you know about the book of Jude? My guess would be very little. No matter how devout a Christian you may be, it is a book that is rarely quoted or discussed. It is the shortest book of the Bible, however, which could explain it. The book is actually only twenty-five verses and it’s more than a little mysterious. It’s not written to any specific person or church or region. It’s also an ongoing debate as to who actually wrote the book of Jude. I was immediately perplexed. Are you the half-brother of Jesus or were you his slave (other translations refer to him as a servant which makes more sense to me)? And if you are the half-brother of Jesus, why aren’t you playing that card? I mean, if I were related to Jesus Christ and was trying to gain clout in a church setting, I would definitely let people know. He mentions James, after all. After beginning my research I discovered that James is ambiguous as well. To which James is he referring? There are many James in the Bible. People are also constantly having their names changed in the Bible which makes this all doubly confusing. I mean, had I been editing his letter I would have recommend to Jude that he be clearer to save future scholars years of trouble, but alas. The Bible is, however, very intentional. So perhaps this is the way the Lord intended the book to be written. (In which case my editing would have been meddlesome.) And perhaps Biblical scholars are wasting precious energy by troubling over such a small detail. One truth we do know is that the letter was not written by Judas Iscariot who famously betrayed Jesus and then hung himself. It could have been written by Jude of the apostles (also referred to as Thaddeus), but at one point in the book he refers to “the apostles”. Does that mean he wasn’t an apostle or that he was humble enough not to refer to himself as one? I’m sure it’s irrelevant, but people like to ponder things. 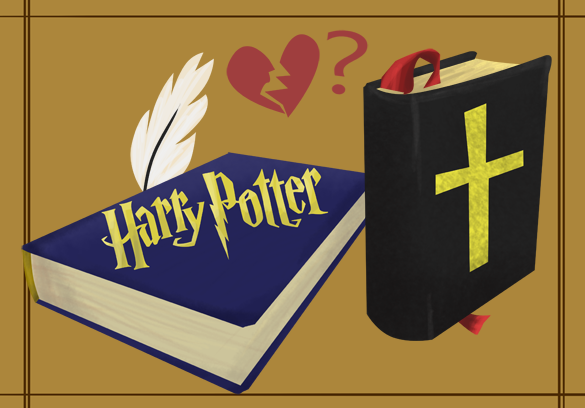 If the world invested half as much energy trying to unravel the mysteries of the Bible as we did for Harry Potter, we’d have a much more fully informed faith. I don’t have an answer to my query, by the way. And if scholars who have been studying this mystery for years haven’t solved it, I’m certainly unlikely to uncover a mystery with a cursory internet search. The message of the book isn’t in the author; it’s in the message. This letter, written by the elusive Jude, is a warning to the church and the Christian faith. It is warning us not to follow false prophets. That while the grace of God is magnificent, it is not license to pursue desires of the flesh just because you know the Lord will forgive you. Christ died on the cross to save us so we could escape the fiery depths of Hell, but also because he loved us and isn’t it customary to show someone who loves us a reciprocal level of respect, at least? Not to exploit this ultimate sacrifice. Jude reminds us that Hell is real. That Satan is real. That the possibility of spending eternity there is real. (Which is fitting since it is followed by Revelation.) Do not be deceived, but spend your time on earth wisely.